Mosul is expected to share the fate of Aleppo, one of the largest cities in Syria which has gradually returned to peaceful life after its long-awaited liberation. Political analyst Catherine Shakdam asserted that Daesh will be "flushed out" of the second largest city in Iraq the same way radical armed militias were kicked out of Aleppo. "Mosul has become the next Aleppo. Everything will be decided there," Shakdam, the Director of Programs at the Shafaqna Institute for Middle Eastern Studies, told RT. Daesh "is on the run quite clearly. They are throwing everything that they have in Iraq, because if Iraq is indeed liberated there is nowhere else to go for them." Shakdam is convinced that Mosul will be liberated, but could not say when the liberation is likely to take place. "There is no doubt in my mind that Mosul [will] be liberated and that the Iraqi army and the Iraqi people [will reclaim] their land," she said. "It is very difficult to say whether it is going to take a month, two, three, four, five or six. We don't know. The point is: what happened in Aleppo will happen in Mosul. It will be liberated and [Daesh] will be pushed back because [Daesh] is a foreign entity in the land." The political analyst maintained that Iraqis do not support the brutal group which took large parts of northern Iraq under control in a blitz offensive in June 2014. Daesh "is going to have to go," she said. "It is going to be flushed out." Shakdam further said that the operation to free Mosul will be complicated by the "powers that continue to fund terrorism" should they continue their attempts to create "an enclave" in the Middle East, but did not specify who she meant. Baghdad launched Operation "We Are Coming, Nineveh" on October 17, with more than 120 towns and settlement liberated from Daesh in two weeks. On November 1, counterterrorism forces entered the city, encountering fierce resistance from the militants. A quarter of the city is said to have been freed so far, but the campaign stalled for weeks due to slow progress. The second phase of the operation was launched on December 29. 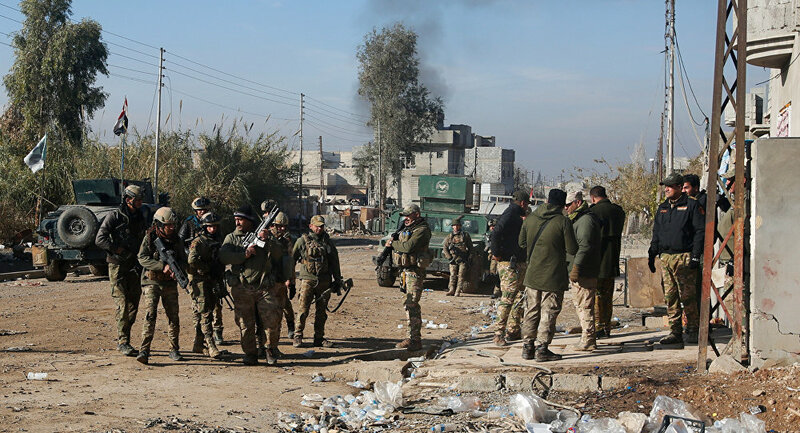 Iraqi security forces, assisted by Kurdish fighters and local militias, are reported to have been advancing toward the Tigris, which divides Mosul into eastern and western parts. Western Mosul remains under the militants' control.